This is a particularly intense demonstration of the problems faced by Nicholas, due to his family curse. This leads Nicholas to drink vodka to excess. 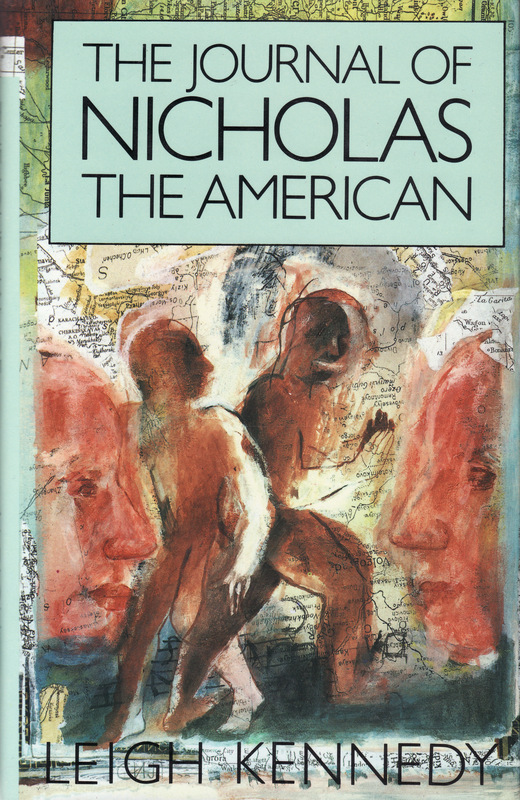 Nicholas is the son of a Russian emigre family, but the drinking of vodka isn’t in any odd hat tip to the country of his forbears, rather it just allows him to blot out any unwanted thoughts that may be broadcasting his way. This entry was posted in Review and tagged leigh kennedy, novel, sf. Bookmark the permalink. No worries, man. I’m just spreading the love; like I say, this came up in some chat about under-representation of female writers. This is definitely worth seeking out, though. Haha, good luck with the ‘soon.’ I notice you’ve been buying some more stuff yourself! But aye, that’s definitely a quality Silverberg. My experience is that he varies a little and that seems fairly universal amongst those that have read him. I’ve a couple of other British writer’s that came up in Ian’s post about UK SF Masterworks, too. Scored a nice yellow jacket of A Man of Double-Deed. May look at that one soon, also. haha, I’ve actually just finished Silverberg’s The Time Hoppers — on my recent acquisitions list (and a review will be forthcoming) and, well, I didn’t like it at all — but that’s ok. I found it a “paint-by-the-numbers” and instantly forgettable little novel… But that’s ok, not EVERY Silverberg novel has to be a masterpiece. But yes, Leigh Kennedy’s work looks great. This is one of my all-time favourite neglected novels. It is such a poignant, moving book. Yes, Nicholas can be obnoxious, but he’s continually wrestling with good intentions vs the personal damage he fears. The journal format actually emphasises this, being the opportunity for self-analysis, but it also fits with aspects of Leigh Kennedy’s other fiction: the telling of stories in the spaces. The reader is invited to interpolate events based on characters emotional response. Her second novel Saint Hiroshima does this with huge gaps of several years. One significant character only actually appears in other characters’ memories of her. I could mention some of Kennedy’s excellent, disturbing, short fiction too in this context. The forthcoming PS collection is the most eagerly awaited book around here. I’m definitely interested in checking out more of her stuff; this was one of the most emotionally engaging books I’ve read for quite some time. Look forward to her short fiction collection too!